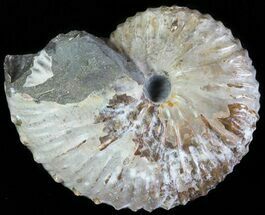 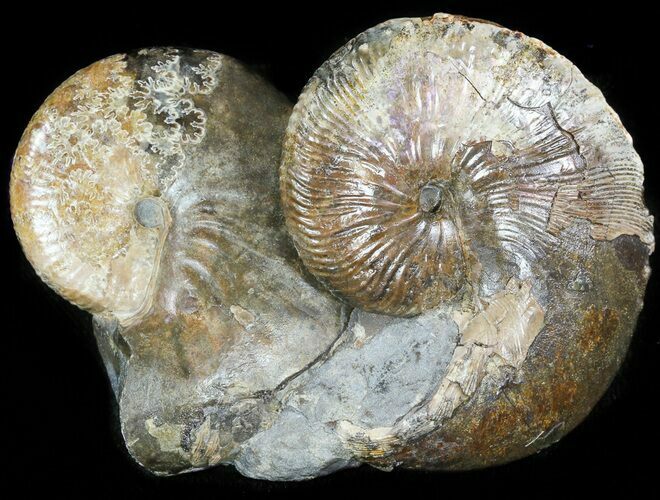 These are two good sized Hoploscaphities nicolletii ammonites specimen from the Fox Hills Formation of South Dakota. 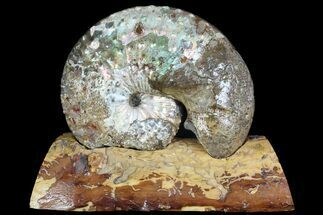 They have been wonderfully prepared from the hard concretion they were found in. 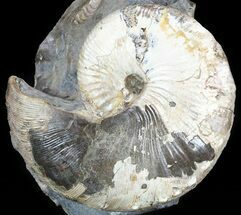 These 70 million year old ammonites lived when South Dakota was a shallow inland sea. 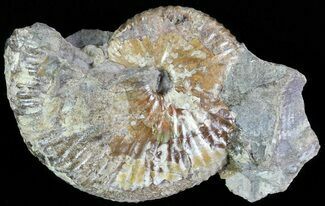 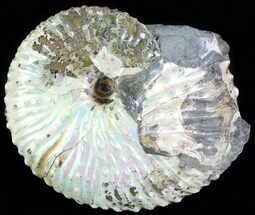 It was found preserved in a concretion that was split open. 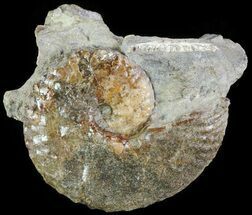 It then had to be hand prepared to remove the hard rock surrounding it from the shell, a very time consuming task.